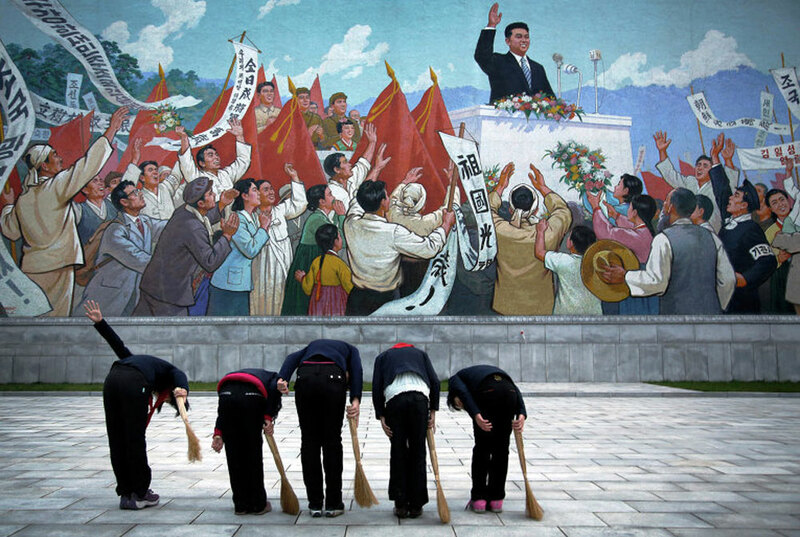 School girls bow before a mural of Kim Il Sung in North Korea. Moscow, Pyongyang signed extradition agreement in the beginning of February. Marzuki Darusman, the U.N. special rapporteur on North Korea's human rights situation has called on Russia to not implement an extradition treaty with North Korea, Yonhap news agency reports. “Given the practice of the DPRK (Democratic People’s Republic of Korea) to send laborers to Russia who often work in slave-like conditions, it is feared that such a treaty could also be used to capture and repatriate workers who attempt to seek asylum," Darusman was cited by the news agency as saying. “I strongly urge Russia to respect the principle of non-refoulement and not to implement the treaty,” Darusman said, according to the report. Russia and North Korea signed an agreement on the mutual repatriation of illegal immigrants in the beginning of February.